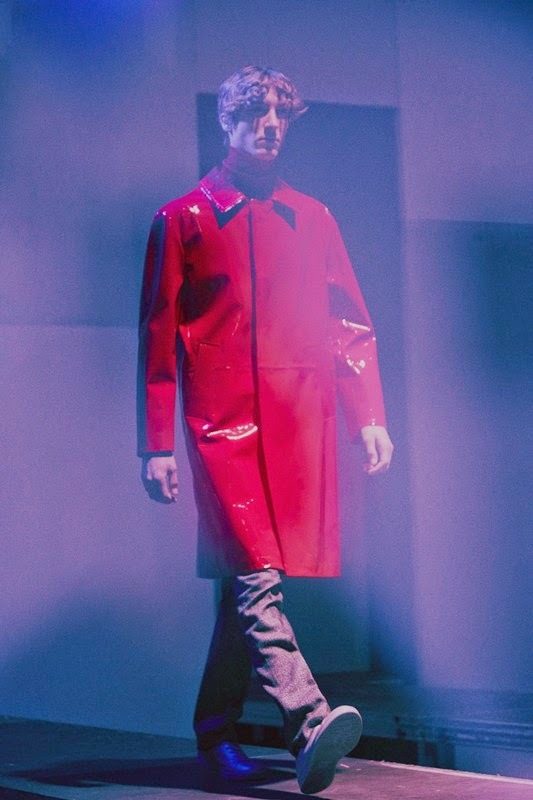 We are wondering a lot about the name of the Raf Simons AW2015-16 collection. To The Archives No Longer Relevant. We have been speechless and at the same time, dazed and confused. This year is the 20th anniversary of Simons's eponymous brand. The AW2015-16 is an unexpected celebration. Another thoughtful move from Raf Simons who has refused to do a proper party. 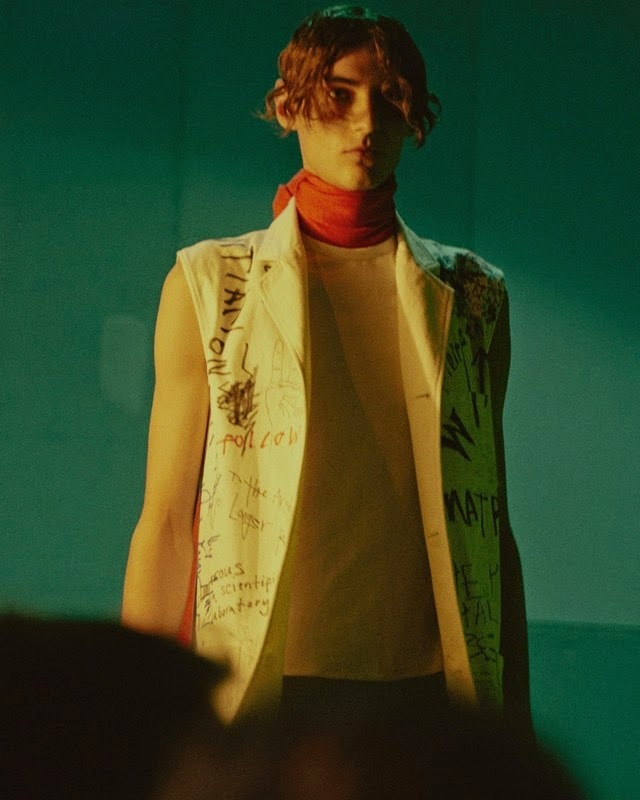 The collection rejects the idea of going forward, instead it's about going backward to the would be outdated pieces that have made his name shine all around the world, being on everyone's lips. It's not because he has collaborated with Eastpak and Adidas or because of his appointment at Dior, he owes his success thanks to what he did in the past, to the youth subculture he worships, to the young version of him, to the bands he can't stop loving, to his love for arts and architecture, to his passion for unique beauty, to his independence and free will, to his opposition to the system/industry he both loves and hates. All these facts have brought him to the position he now has in the business, have made him win jobs at Jil Sander and Dior. He didn't go to a fashion college but he has an architecture and design training. His creations stand because of this particularity. His outdated archives sound like the expression of modernity. 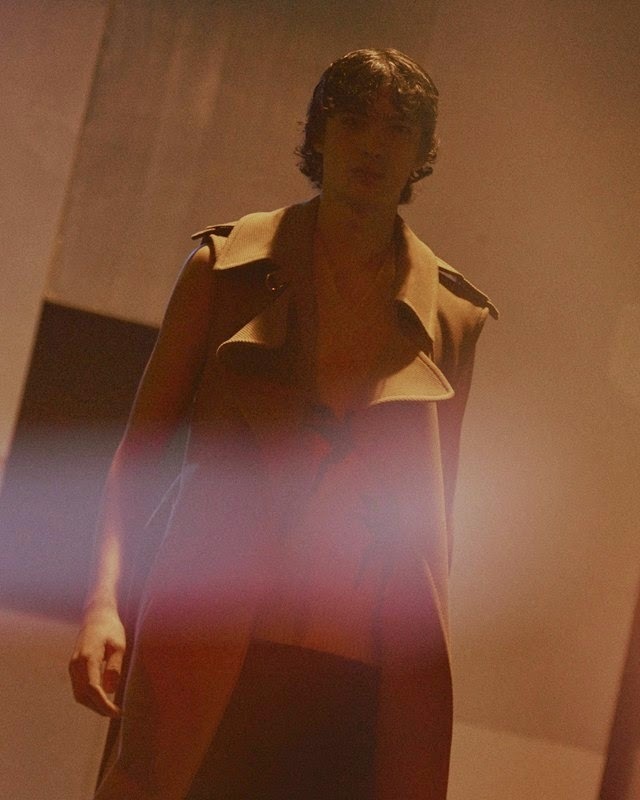 That's the message he focuses on in his new collection, re-editing his non-relevant classics. 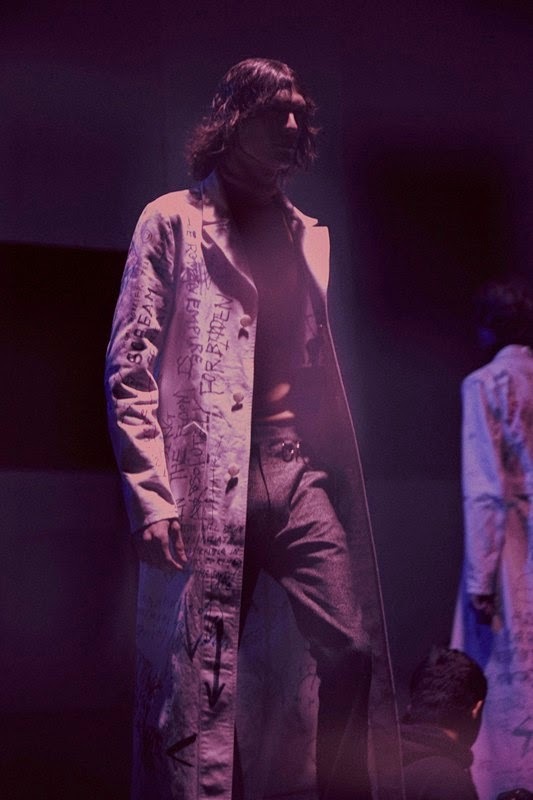 His clothes embody the idea of make it last, of uniqueness nodding to Martin Margiela. The scribble coats are completely part of this unparalleled vibe as worn over worn, the scriptures will be distorted somehow and it's the same idea that comes with the unrivaled design of these pieces because one will not have the same coats as somebody else. There is also this idea of clothes that are not based on newness for we have already seen the sleeveless coats, the sleeveless jumpers, the slouchy trousers. 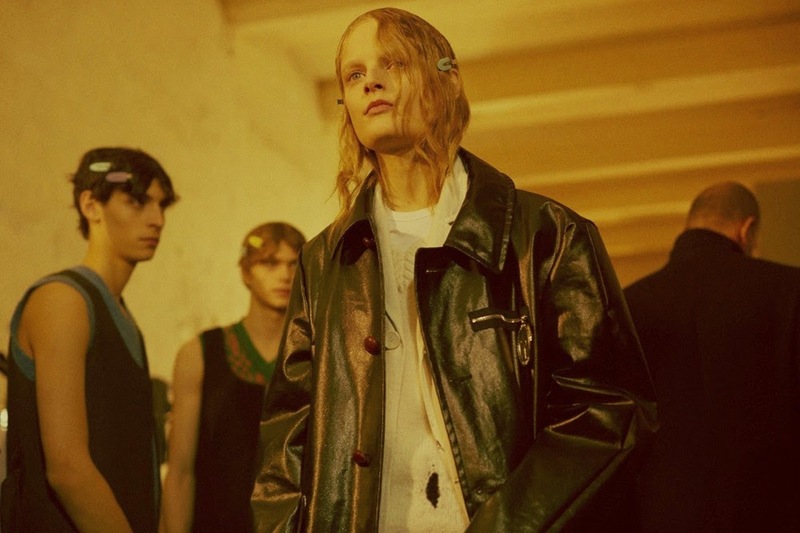 There is more rawness in the Raf Simons's definition beauty with garments that look unfinished. This 20th anniversary is an anti-fashion celebration and rejects the idea of giving the archetype of a fashion-forward collection. There were no futuristic vibes, no pop culture or no art references. Of course, the models were wearing new Stan Smiths and Ozweego II. Of course, there will be new versions of his iconic shoes, the Response Trail II and new additions such as the Response Trail Robot and the Ozweego Robot. There will be also the commercial version of the runway pieces, meaning new obsessions for us. 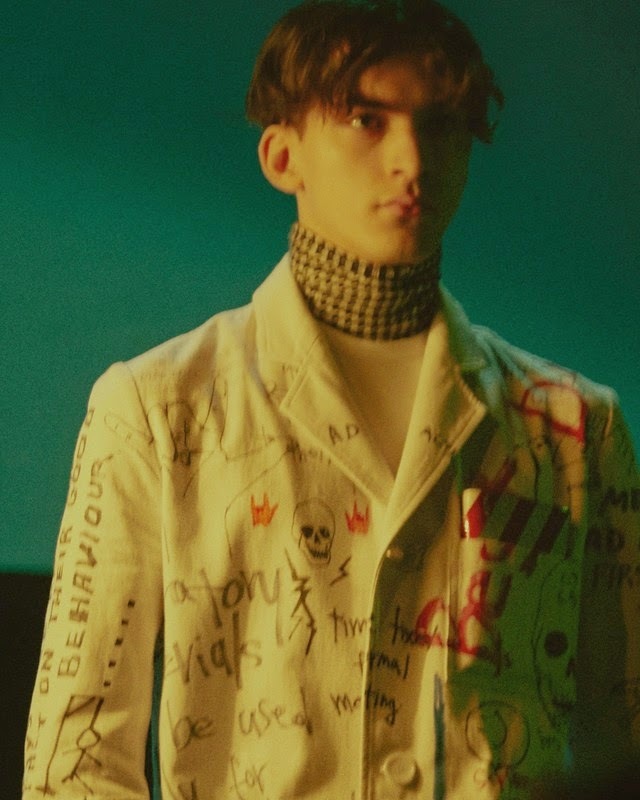 As the scribbles on the garments suggest, the Raf Simons boys are (and will always be) reminded.